The end of the school year is a time that families often look to with great excitement and anticipation. The summer months might offer more time spent together, with special plans or traditions reserved for warmer months, or simply a more relaxed schedule. Many families also look forward to their child moving on to a new school come September, and while this may signal to parents a time for new learning opportunities and friendships, it is common for children to experience this transition with mixed feelings. For every child, the classroom environment that has become a comfortable home away from home will change; as new children join the classroom community; as teaching teams shift; as children switch to different school schedules; and, of course, as children graduate to new schools. In the face of this uncertainty about their everyday future, children might react with BIG feelings. It is not uncommon to exhibit feelings related to sadness, anger, anxiety or frustration, or to experience regressions in behavior. So, how can teachers and families partner to be prepared, and to support children through this major change? At WSMS, teachers plan a detailed curriculum to support children’s social-emotional needs surrounding transitions. Well before the last weeks of school, conversations begin about children’s plans for the following year. Clear and meaningful communication between parents and teaching teams keeps us informed of what’s next for each child. Graphs are made with the children, charting who will return to WSMS in the fall, and who will start at a new school; these remain posted in the room, and children reference them frequently in the final months of school. Some classrooms incorporate information about children’s new schools into their block area materials. Pictures of ongoing school buildings, along with photographs of the children in the class are adhered to blocks, and children “play” with the idea of their classmates commuting to or attending their new schools. Traditional seasonal curriculum including the raising of caterpillars to the butterfly stage takes on new meaning when connected to end of school year themes: just as the butterflies grew and required a new habitat befitting their transformed selves, so to do the oldest children in our classroom communities. Teachers facilitate discussions prompting children to share their feelings about saying goodbye to their invertebrate friends, and make the connection to emotions they might experience around their own transition. Many of the activities, books, and symbolism integrated into classroom end of year curriculum can be continued at home. Classrooms utilize calendars or a paper chain to mark the passing of each day until the last of the year. Days are crossed off, or a link cut, to clearly show children how many days remain together. 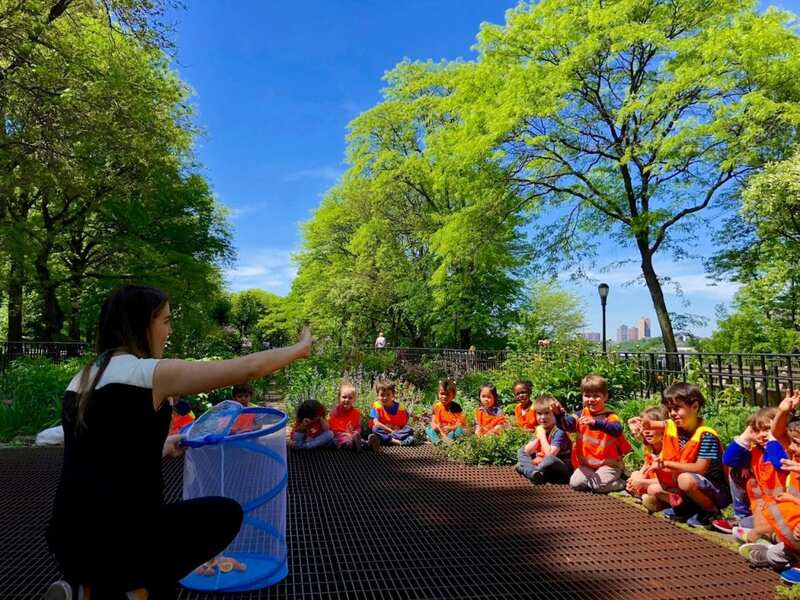 In addition to butterflies, teachers also utilize the symbolism of bridges or travel in their play with children at the end of the year. Parents too can incorporate these themes. Books that depict children’s experiences of new schools, the mixed feelings surrounding growing up, and goodbyes are invaluable at this time: at WSMS, we love Wemberley Worried, Countdown to Kindergarten, and Will I Have a Friend? ; It’s Hard Being Five and I Like to Be Little; and Oh No, Time to Go! As always, an open dialogue and partnership between parents and teachers provides the richest opportunities to best support each child during this time of big change.